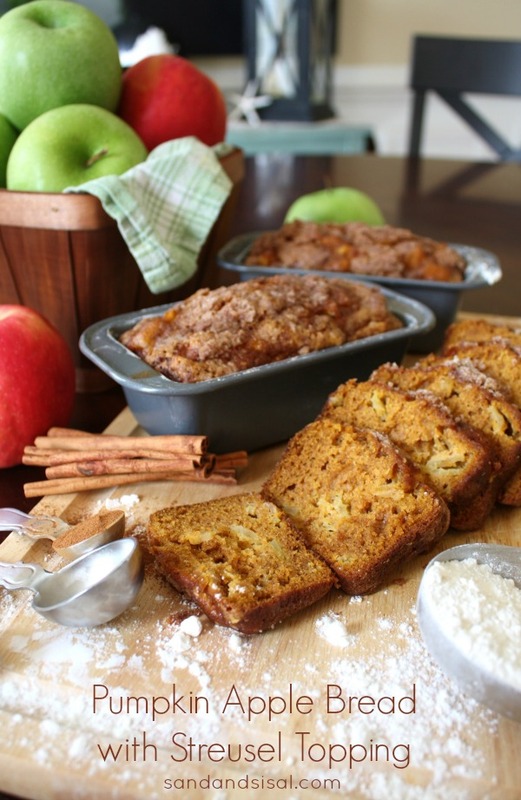 The kids and I have been in the kitchen this weekend baking and making some fall sweet treats! I have loved caramel apples for as long as I can remember. 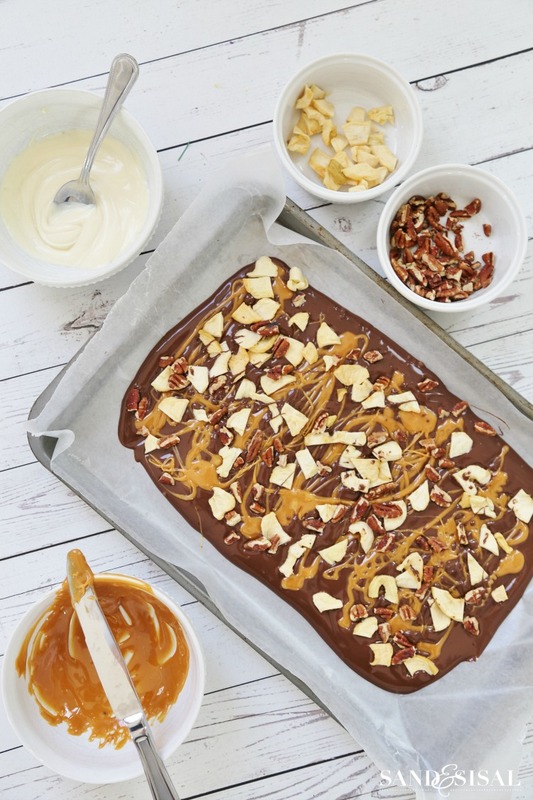 We decided to whip up some quick and easy Chocolate Caramel Apple Bark Candy! 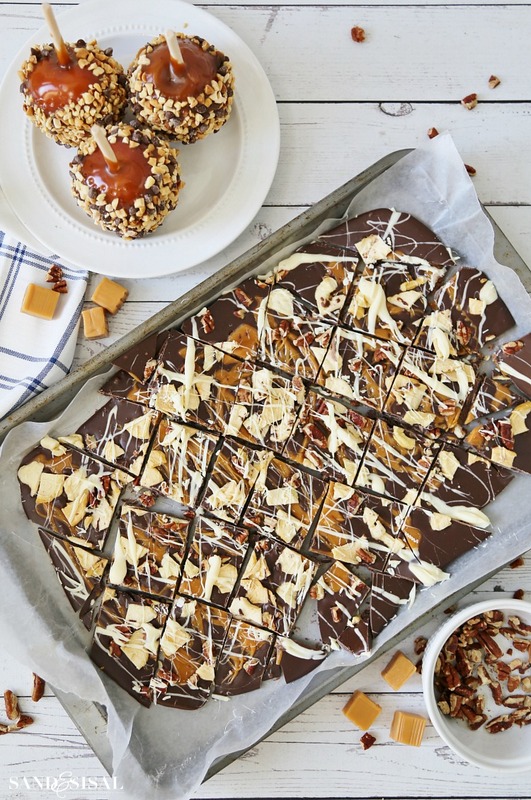 This caramel apple bark starts with tart dried apples and crunchy toasted pecans, all nestled in a bed of rich chocolate, chewy caramel, and drizzled with white chocolate. YUM! The joy of making candy bark is that it doesn’t require any set measurements! You can add as little or as many toppings as you desire. Cover a baking sheet with waxed paper and set aside. 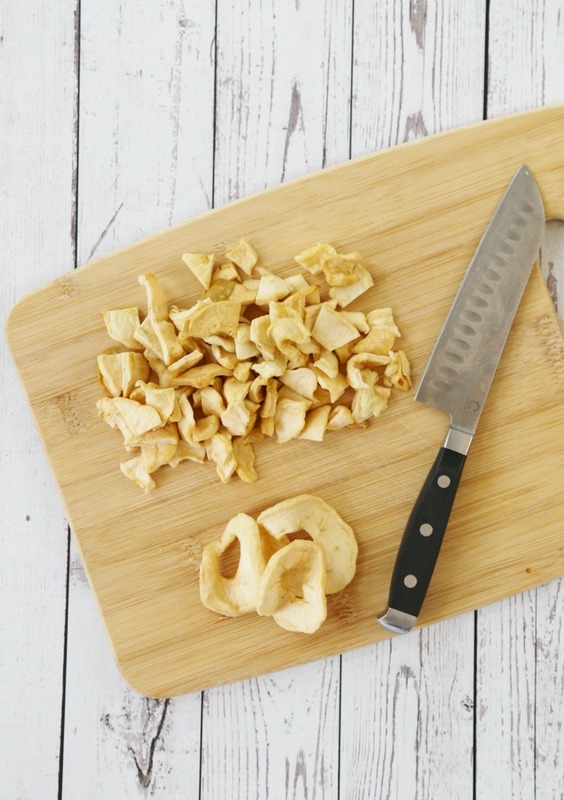 Next, chop up some dried apples. Our grocery store carries dried apples in the produce section. Sometimes they can also be found by the raisins and dried cranberries. 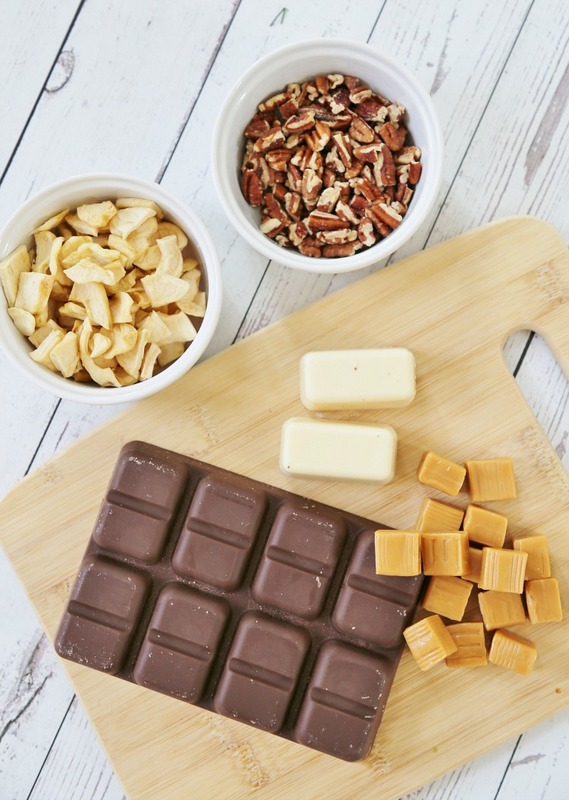 Chocolate candy melts can be found at most finer grocery stores in the baking aisle. Try to use a good quality chocolate. Time to melt the chocolates and caramels. Place the unwrapped caramels and chocolates in separate microwave safe containers. 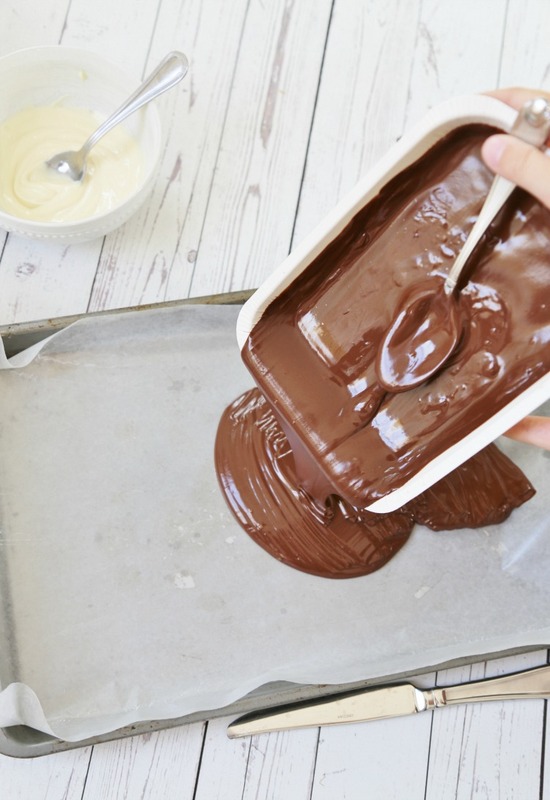 Melt the chocolates first in the microwave set on high for 30 second intervals, stirring inbetween. Repeat until completely melted and smooth. Do not over heat! Then microwave the caramels for 30 seconds, stirring and repeating until smooth. 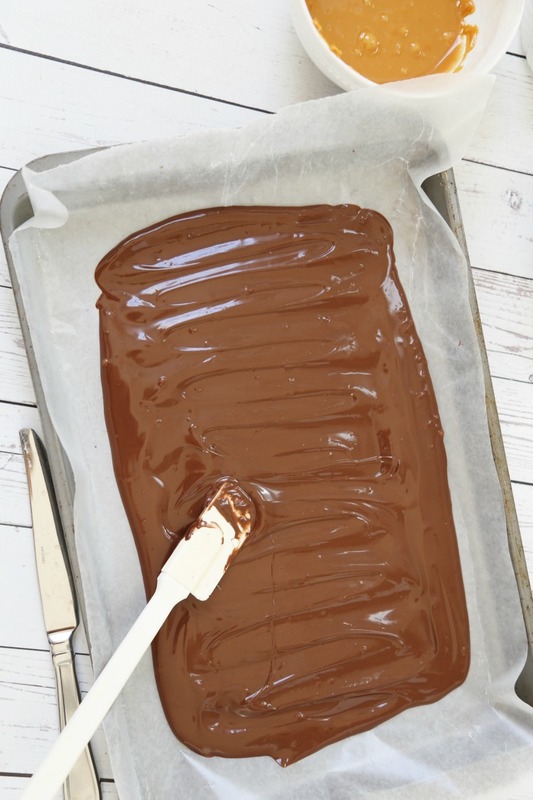 Pour the melted chocolate onto the waxed paper and smooth with a rubber, creating a nice even layer of chocolate. WARNING: The melted caramel is very hot and can easily burn your fingers! Do not allow a child to pour the caramel. Next with a spoon or knife, drizzle the hot, melted caramel over the chocolate. Don’t go too crazy with caramel (I used too much and next time I would use much less). I recommend using maybe only about 7-8 melted caramels. IMMEDIATELY sprinkle on the dried apples and pecans. Lightly press into the chocolate/caramel mixture. 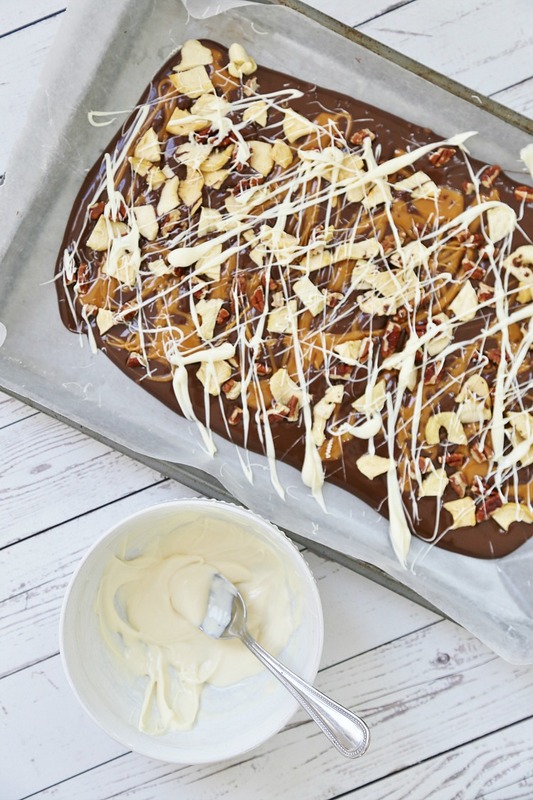 Drizzle white chocolate over the caramel apple bark by dipping a spoon in the white chocolate and then shaking it over the bark. Pop the baking sheet into the freezer for 20 minutes or leave out at room temperature until set and hard. 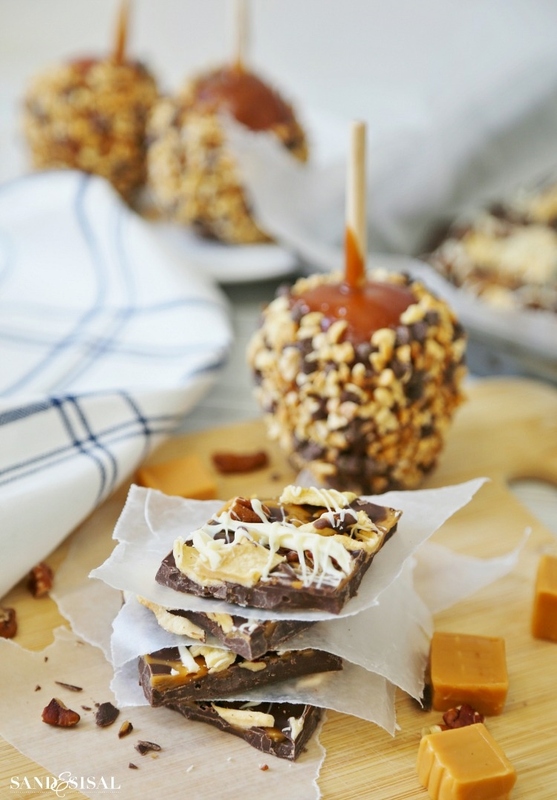 Break chunks of chocolate caramel apple bark off into pieces with your hand or cut into pieces with a large knife. 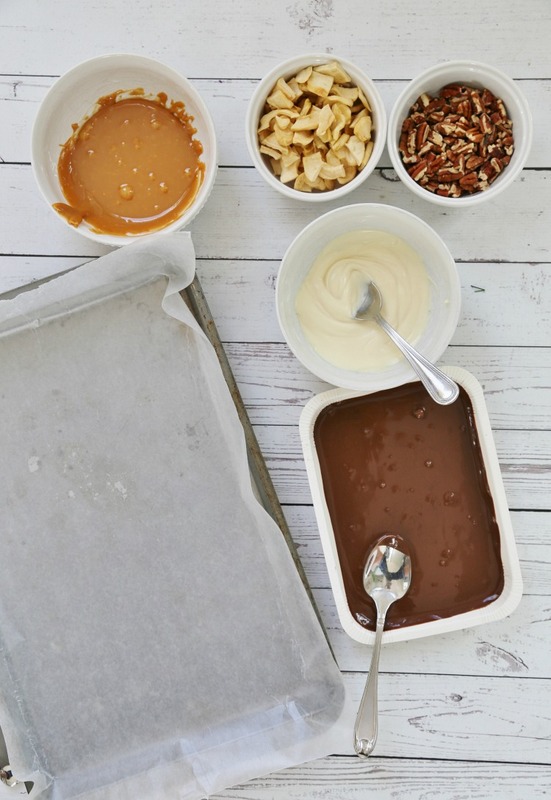 Store the Chocolate Caramel Apple Bark in a container lined with waxed paper and put waxed paper between layers. Get ready for a chewy, crunchy, sweet-tart bite of deliciousess! 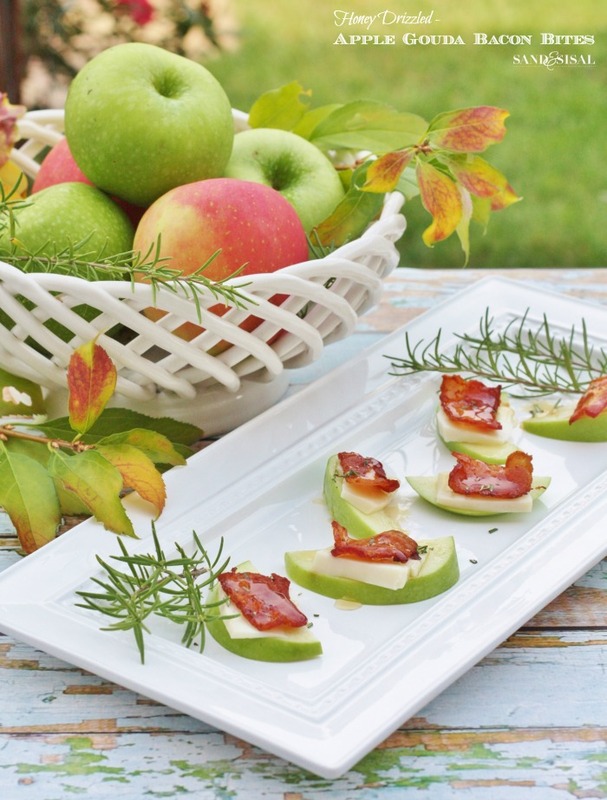 You might also like these popular fall recipes! This sounds like a great fall treat. I can’t wait to try it. 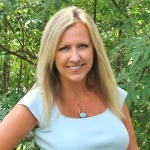 Wow Kim these all look awesome, thanks for sharing!